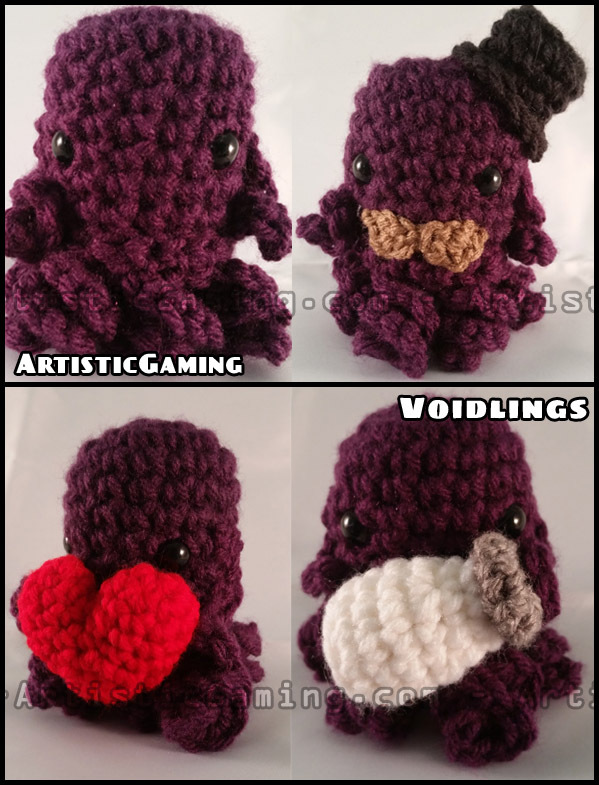 My boyfriend, and one of my favorite streamers on Twitch, has an adorable mascot for his channel called the Voidling. These are crocheted dolls I sell for him based on that mascot and based on the emotes he has available in his channel. To see these babies in action visit his channel or buy them in his shop!